Don Norman returned to the University of California, San Diego to start the Design Lab, a research and teaching unit focused upon complex sociotechnical issues such as healthcare and automation (human-technology teamwork). He is cofounder of the Nielsen Norman Group, an IDEO fellow, a former vice president of Apple, and an advisor and board member of numerous companies. He is a member of the National Academy of Engineering and a fellow of the American Academy of Arts and Sciences. Don is professor emeritus of computer science and design at Northwestern University and professor emeritus of both psychology and cognitive science at the University of California, San Diego and an advisor to and honorary professor of Tongji Universityís College of Design and Innovation. He has been distinguished visiting professor of industrial design at Korea’s Advanced Institute of Science and Technology (KAIST). 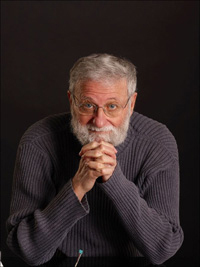 Don was awarded the Benjamin Franklin Medal in Computer and Cognitive Science and has honorary degrees from University of Padua (Italy) and Delft University of Technology (Netherlands). His books include Emotional Design, Living with Complexity, and, most recently, an expanded and revised edition of Design of Everyday Things. He can be found at www.jnd.org.